Whitworth University appears in our ranking of the 10 Best ABA Master’s Degree Programs in the West. Since 2014, the School of Education in Dixon Hall has admitted Whitworth University cohorts of 10 to 15 for an Applied Behavior Analysis M.A. that covers evidence-based treatment methods for neurodevelopmental disabilities. Directed by Dr. Roberta Wilburn, a McLemore Award for Teaching Excellence recipient, the 37-credit master’s prepares graduates for reinforcing positive behavioral changes in childhood or adulthood. Two years are devoted to BACB-verified evening and online courses from Individualized Education Program Planning to Ethical Research Methods. Additionally, students spend 25 hours weekly at the on-site Northwest Autism Center to fulfill the 750-hour internship before the Exit Project. Certified Washington teachers could select the Special Education M.A.T. with the ABA Endorsement instead. Chaired by Dr. Jann Leppien, the 2009 NAGC Distinguished Service Award winner, this 42-credit track emphasizes PK-12 pedagogical skills in hybrid Blackboard courses, including Autism Spectrum Disorders. Whitworth University originated in 1883 after Presbyterian minister George Whitworth made the five-month Oregon Trail trek to the Washington Territory and created Sumner Academy. On February 20, 1890, its Board of Trustees voted to advance its coed post-secondary curricula as Whitworth College. Battered by the Panic of 1893, it received the West Coast’s largest denominational donation from H.O. Armour to keep thriving. By 1914, Whitworth relocated from Tacoma to its current 200-acre Spokane campus given by Jay P. Graves near Gonzaga University. In 1942, Whitworth acquired Spokane Junior College and enrolled many Japanese-American refugees. Visited by John F. Kennedy in 1960, Whitworth strengthened its bond to the Presbyterian Church (USA) during the 1970s. The Whitworth University name wasn’t adopted until July 1, 2007, as master’s degrees grew. Endowed for $151 million, Whitworth now employs 155 full-time faculty teaching 3,070 Pirates from 35 nations with 82.3 percent retention. The U.S. News & World Report ranked Whitworth the West’s eighth best university, fourth best for vets school, and fifth top value. On Niche, Whitworth boasts the 45th best Christian education, 105th best small classes, and 131st top teacher preparation. Forbes placed Whitworth University 298th overall and 59th on the Pacific Coast. Money magazine named Whitworth the 654th best buy for median income of $89,100 on PayScale. 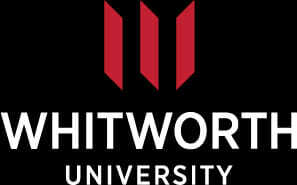 Times Higher Education crowned Whitworth America’s 438th top institution. The Peace Corps recognized Whitworth University for the fourth most volunteers. In 2018, Whitworth accepted the Insight Higher Education Excellence in Diversity Award. College Factual noticed Whitworth for the country’s 233rd most popular special education program. Washington Monthly proclaimed Whitworth University the 12th best master’s choice. The ABA Degree Program Guide also positioned Whitworth fifth in the West. In April 2018, Whitworth University self-reported the Seven Year Evaluation required by the Northwest Commission on Colleges and Universities (NWCCU) to continue Level III accreditation through 2021 under its 18th president, Dr. Beck Taylor, who earned the Beta Gamma Sigma Governor Emeritus honor. Located 303 miles west via Route 2 in Redmond, this superb seven-state Inland Empire accreditor is recognized by the Council on Higher Education Accreditation (CHEA) to assure the quality of Whitworth’s 53 baccalaureate, eight undergrad adult, 19 master’s, and nine certificate options. The School of Education is accredited by the National Council for the Accreditation of Teacher Education (NCATE) and Washington State Board of Education. Whitworth was also approved by the Behavior Analyst Certified Board (BACB) effective Summer 2015. Getting into Whitworth University is classified “moderately difficult” by Peterson’s since 2,818 of the 3,166 Fall 2017 applicants were triumphant for 89 percent acceptance. Post-grad Pirates sailing into the Applied Behavior Analysis M.A. must have a regionally accredited bachelor’s of 120-130 credits. The Graduate Studies in Education programs only allow six master’s credits graded “B” or better for transfer. Consult advisors for undergraduate prerequisites in education and human development. Only Special Education M.A.T. entrants need current teaching licensure. Full admission relies on presenting a cumulative 3.0 GPA or better. Restricted admission is available for GPAs of 2.7 to 2.99 with GRE or MAT scores above the 25th percentile. International graduate students on F-1 or J-1 visa are evaluated by World Education Services. Acceptable marks for English fluency are 88 on the TOEFL Internet and 7.0 on the IELTS exams. Whitworth University requires hopeful Applied Behavior M.A. students to apply before August 1st for Fall and January 1st for Spring starts. However, the Special Education M.A.T. with ABA Endorsement has four yearly deadlines: August 1st, December 1st, January 1st, and April 1st. First-time users register Whitworth accounts to file the $35 Graduate Studies in Education Application online. Have university registrars mail official, unopened transcripts to 300 West Hawthorne Road in Spokane, WA 99251. Connect the Admissions Committee to test scores electronically by institutional code 4593. Supplemental items include the valid teaching certificate, three recommendation requests, current résumé, educational goals essay of 600-900 words, and international financial statement form if applicable. Please contact (509) 777-3222 or gradadmissions@whitworth.edu with any questions. For 2018-19, Whitworth University is billing full-time traditional tuition of $21,270 per semester and $42,540 annually. Part-time day study incurs $1,775 per credit in Spokane. Living at the “Lilac City” campus’ housing like McMillan Hall adds $2,965 to $3,625 by term. Meal plans for The Café cost $1,012 to $2,623 extra. Whitworth budgets $840 for textbooks and $3,302 for miscellaneous supplies. Residential attendance is roughly $57,824 on-site and $49,298 at home. However, the School of Education cuts Applied Behavior Analysis M.A. expenses to $665 per credit or $24,605 total. Special Education M.A.T. with ABA Endorsement students pay slightly more at $630 per credit, which equals $26,460 overall. According to the NCES College Navigator, the Financial Aid Office in McEachran Hall disburses $51.74 million yearly for 91 percent of full-time Whitworth Pirates to raid packages averaging $24,794. Graduate funds include the Community Leadership Scholarship, John Knox Scholarship, Military Service Scholarship, Diversity & Inclusion Scholarship, Dan C. Sanford Scholarship, Dewaine & Bertha Moore Scholarship, and Gifted Education Specialty Scholarship. The GSE Support Grant gifts $2,000 to $4,000 for Applied Behavior Analysis M.A. students applying before July 15th or December 5th. Handshake currently lists over 1,000 on-campus jobs, including at the Literacy Center, paying at least $11.50/hour. Submitting the FAFSA form coded 003804 would calculate Federal Direct Unsubsidized and Graduate Plus loan coverage. Educating full-time for five years in low-income schools will unlock the Teacher Loan Forgiveness Program. Special education is also a qualifying high-demand field for the $4,000 Federal TEACH Grant. Find more about Whitworth University at the Graduate Studies in Education website.